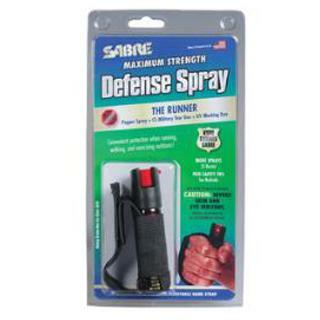 Sabre P22J Jogger Pepper Spray 4 Tall x .87 in. Wide .75 oz 8-10 Feet in. The JoggerP22J and P22JOC provides carefee protection while exercising outdoors with the aid of an adjustable velcro hand strap.